Sun Mountain Sports' best-selling cart bag, the C-130 was created to work optimally on a cart. All of the features are designed with cart use in mind, starting with the reverse orientation top with three utility handles, the Smart Strap System and a convenient, velour-lined rangefinder pocket. In addition, all pockets are forward-facing and accessible when the bag is on a cart. Sun Mountain Sports &apos; best-selling cart bag, the C-130 was created to work optimally on a cart. 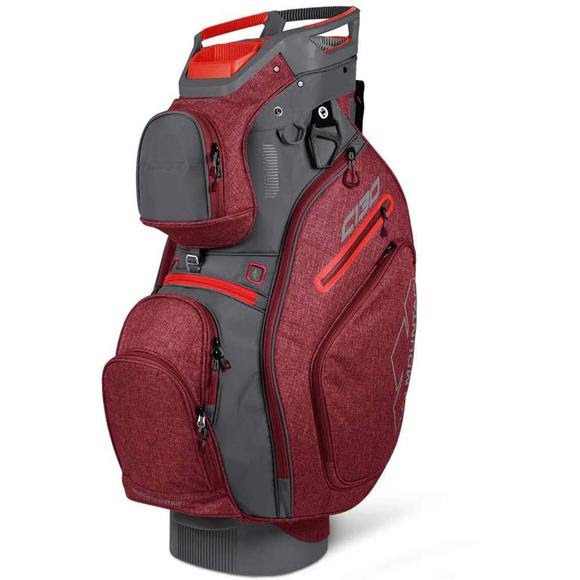 All of the features are designed with cart use in mind, starting with the reverse orientation top with three utility handles, the Smart Strap System and a convenient, velour-lined rangefinder pocket. In addition, all pockets are forward-facing and accessible when the bag is on a cart.